We all want to keep our families as safe as possible. We have locks on our doors, alarm systems, and dogs of all sizes willing to protect us. Many of us participate in a neighborhood watch and work with local police departments; these are effective systems that have been in use for decades. Today, you can also use some high-tech tools and approaches to your neighborhood watch to increase safety. Google Maps can be used by criminals to virtually visit, or "case", a location that they are thinking of robbing. They can use Google Street View to simulate pulling up in front of a house to see how high a fence is, where a gate is located, etc. You can use the bird's eye satellite view in Google Maps to make neighborhood watch patrol assignment maps, see if a neighborhood perimeter fence has any damage, etc. You can also use services that take advantage of Google Maps like SpotCrime which is a free service that shows you a detailed history of crimes in and around your neighborhood. Armed with this information you can determine which areas of your neighborhood might need more protection or surveillance. Social media is a great way to share information with your neighbors. You can create a neighborhood watch Facebook group and set it to "private" where only those people who are part of your watch team are permitted access. Restricting access is a good idea because you probably don't want the bad guys knowing what security measures you are taking. There is a social media neighborhood watch site called Home Elephant that integrates with Facebook. Home Elephant lets you easily join with your neighbors to create an online neighborhood watch complete with crime watches, lost and founds, a neighborhood calendar, and other great features. Access to Home Elephant is free and they even have a free iPhone or iPad app that provides cell phone-based neighborhood alerts as well as quick picture uploading of sketchy happenings. Encourage your neighborhood watch team members to take their cell phones with them while they are out on patrol. If they see a suspicious car or person in the area they can take a picture and upload it to your social media neighborhood watch group to let others know instantly what to be on the lookout for. Everyone has to sleep at some point. Surveillance cameras provide an unblinking eye and can stay on duty 24/7, recording everything happening within their field of view. Outdoor weatherproof cameras are getting cheaper and easier to set up. The Foscam FI8905 is a wireless weatherproof camera with night vision and sells for around $90 US. These cameras can be easily setup outside a watch member's house and aimed at neighborhood entrances, exits, and cross-streets. Access to the cameras can be restricted to prevent unauthorized viewing. The streams can be viewed via most web browsers without the need for any special software. Since the cameras are accessible from the internet, the neighborhood watch leader can set up a home computer equipped with inexpensive DVR software such as Evological's EvoCam which can record video from multiple cameras and save them to the local hard drive or on a remote file server. If there are any incidents in the area, watch leaders can share the video footage with local law enforcement. Many of the newer IP security cameras on the market include an SD memory card-based backup to save footage in case they temporarily lose their network connection. Ask your neighborhood association to set aside some of the association dues you pay every year for a security budget to cover costs for items such as outdoor cameras and other security-related items. Encourage neighbors to consider purchasing cameras to watch their own properties as well. There are extremely simple and inexpensive wireless camera systems now available such as VueZone's completely wireless camera system which is motion activated, can be placed just about anywhere, and can be viewed via a smartphone. Plus, smart lighting and video doorbells are becoming more budget-friendly. These tools can be used remotely by adding an app to a smartphone, allowing homeowners to monitor even the smallest details around the house whenever they want to. Let local law enforcement know what you are doing to protect your neighborhood. Invite them to your watch meetings. Provide them with access to your social media neighborhood watch groups and give them logins for your surveillance camera feeds. Obtain the e-mail addresses and phone numbers of the officers that are responsible for your local area. If you see something or someone suspicious, send the officer a picture and include the time, date, location, and reason why you thought it was suspicious. There are many cheap and easy things you can do to fortify your home's security. Keep shrubbery trimmed low around windows and doors. Add landscape flood lights to remove any potential hiding areas. Add door reinforcement hardware such as Armor Concepts Door Jamb Armor to prevent door kick-ins. 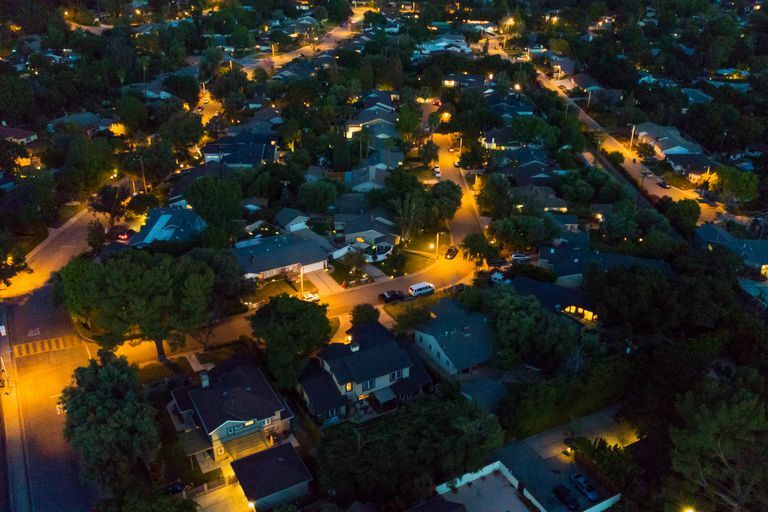 In the end, the key to an effective neighborhood watch program, whether it's high-tech or low-tech, is community involvement and active participation. And to keep fresh batteries in your flashlight.that smartphone flashlight handy!